"Many iPhone apps are trivial little programs, some are staggeringly clever, some very useful, a few are simply beautiful. But the key thing is that they're changing our concept of computer software. Once we thought of it as disks in shrink-wrapped boxes costing from £50 to £2,500 that you ran on a PC. 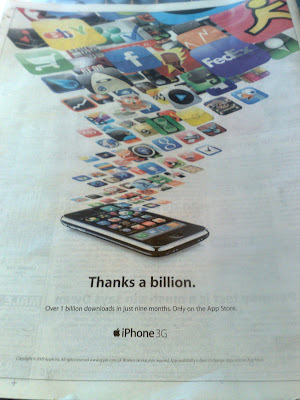 The billion downloads from the App Store suggest those days are ending. Future generations will see software as something that is downloadable and cheap - and that runs on your phone." 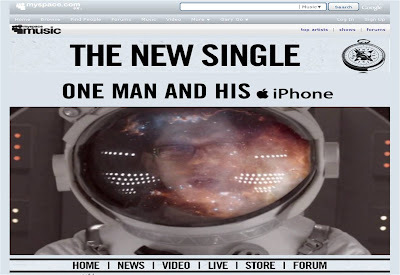 In today's papers another story brings the versatility of the iPhone to life - musician Gary Go uses his iPhone to create his own music and is starting to perform live. 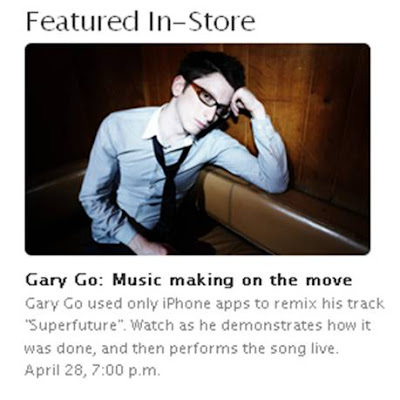 Gary Go used only iPhone apps to remix his song 'SuperFuture' and will demonstrate how he did it, before performing the song live at the Apple Store in Regent St (London) tomorrow. 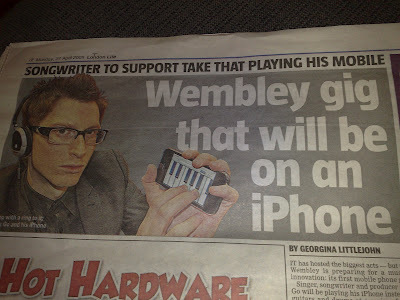 Mobile apps and 'always on' mobile internet have changed the way that consumers are using mobile phones and a stadium performance using an iPhone is probably the most visual demonstration of app versatility to date!